1. Applicants must be a Municipal or County Law Enforcement Agency within the Counties of Bucks or Montgomery, and within the Commonwealth of Pennsylvania. 2. 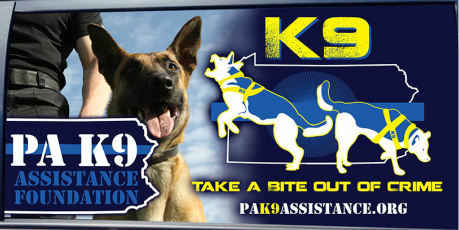 PA K9 Assistance Foundation is providing a grant totaling $5000.00 (USD) to be distributed in _________denominations.